In this study, the environmental gamma radiation starting at December, 2014 through November, 2015 were measured at different 16 points. The environmental gamma radiation measurement was made from the ground and one meter above the surface by using portable gamma survey meter which consisted of NaI(Tl) scintillation detector. The lowest values of environmental gamma radiation are 0.041 µSv/h at ground level and 0.035 µSv/h at the one-meter level on the location XIII, the highest values of environmental gamma radiation are 0.478 µSv/h at the ground level and 0.453 µSv/h at the one-meter level on the location XVI. Kaya, S., Karabıdak, S.M., and Çevik, U., 2015. Determination of Natural (226Ra, 232Ta and 40K) and Artificial (137CS) Radioactivity Concentrations in Soil and Moss Samples Collected from Around Gümüşhane, GÜFBED/GUSTIJ, 5 (1): 24-3. UNSCEAR, 2000. Sources and effects of ionizing radiation. Report to General Assembly, with Scientific Annexes. United Nations, New York. Değerlier, M., and Peştemalcı, V., 2012. Determination of Enviromental Natural Radioactivity of Adana and the Annual Effective Dose Equivalent Due to Natural Radiations, Çukurova University Journal of Science And Engineering, 27-5. Şahin Bal, S., and Doğru, M., 2012. Determination of Radioactivity Concentration in the Sivrice (Elazığ) Fault Zone, IZYEF, 71, İzmir, 19-23 June, Symposium Abstracts book, p. 71. Karahan,, G., 1997. Determination of Environmental Natural Radioactivity of İstanbul and the Annual Effective Dose Equivalent due to Natural Radiations, PhD Thesis, İstanbul Technical University, Nuclear Energy Institute, İstanbul. Beck, H.L., 1982 The Physics of Environmental Gamma Radiation Fields, The Natural Radiation Environment II. USERDA Conf.-720805-P2, 101-104. Şahin, S., 2009. The Change of Radon in the Sivrice Fault Zone and Natural Radioactivity, Fırat University Institute of Science and Technology, PhD Thesis, Elazığ. LUDLUM, 2012. Model 44-10 Gamma Scintillator, Ludlum Measurements, Inc., Texas. Şahin Bal, S., and Karatepe, Ş., 2015. Determination of Environmental Gamma Radiation in Bitlis, EPJ Web of Conferences, 100, 04002. Şahin, S., Niksarlıoğlu, S., and Yılmaz, M., 2010. 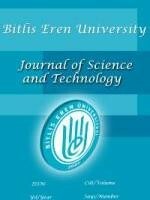 The Measurement of Environmental Gamma Radiation in the Fırat University Campus (Elazığ), Fırat Univ, Joumal of Science, 22 (2), 101-107. UNSCEAR, 1993. Sources and effects of ionizing radiation. Report to General Assembly, with Scientific Annexes. United Nations, New York.